The government and opposition parties Thursday were locked in a bitter war of words over the shock demonetisation two years ago, with Finance Minister Arun Jaitley citing spike in the number of taxpayers to staunchly defend the move, while Congress president Rahul Gandhi said the note ban cost 1.5 million jobs and 1 per cent of India's GDP. On the second anniversary of the demonetisation of old 500 and 1,000 rupee notes, the ruling BJP mounted an offensive against the Congress, posing 10 questions ranging from what the party did to eliminate corruption and black money when it was in power, to doubting credentials of former finance minister P Chidambaram to speak on policy issues when he himself is under the radar of probe agencies for "massive corruption". Jaitley wrote a Facebook post to list an 80 per cent jump in income tax return filers to 6.86 crore in four years, rise in digital transactions and more resources being available for poor and for building better infrastructure as the main achievements of demonetisation. With depositing junked currency in banks the only mode left to liquidate holding of old high-value rupee notes, the government was able to track down people holding cash beyond their known sources of income and suspect owners of 17.42 account holders identified, he said. The Congress president retorted, calling November 8, 2016, as "a day of infamy" when sucking out of 86 per cent of currency in circulation brought the "economy to a grinding halt", caused 1.5 million job losses, eroded at least 1 per cent of GDP and took the lives of more than 120 people standing in queues to get replacement for the junked currency notes. "Demonetisation was a tragedy", a "monumental blunder" and a "carefully planned criminal financial scam", Gandhi said adding that "it was a self-inflicted, suicidal attack that destroyed millions of lives and ruined thousands of India's small businesses". When former Prime Miniter Manmohan Singh, who had previously said that the note ban would shave off 2 per cent of the GDP, Thursday termed the move as an "ill-fated" and "ill-thought" exercise, whose "scars and wounds" are more visible on the second anniversary of "economic misadventure", Jaitley hit back saying India clocking the fastest economic growth rate for fifth year in a row has proved "prophets of doom" "conclusively wrong". Senior Congress leader P Chidambaram also accused the government of trying to capture the Reserve Bank of India's Rs 9.6 lakh crore reserve to tide over its fiscal crisis. Questioning the rationale behind the note ban, Delhi Chief Minister Arvind Kejriwal termed it as "a self-inflicted deep wound" on the Indian economy. West Bengal Chief Minister Mamata Banerjee alleged that the demonetisation was for the benefit of a handful of people and termed November 8, 2016, as "darkest day of India". Responding to the criticism, Jaitley said demonetisation has strengthened the economy and increased the government resources to fund poverty alleviation and infrastructure development programme. "What has happened to prophets of doom who said India's GDP will decline by at least 2 per cent. For the fifth year running India will be the fastest growing (large) economy in the world. It is continuing to happen. So prophets of doom have been proved wrong and conclusively proved wrong," he later told reporters here. Jaitley said that demonetisation has favourably impacted the tax system, digitisation, and formalisation of India economy. "By the time the first five years of this government are over, we will be close to doubling the assessee base," he said. 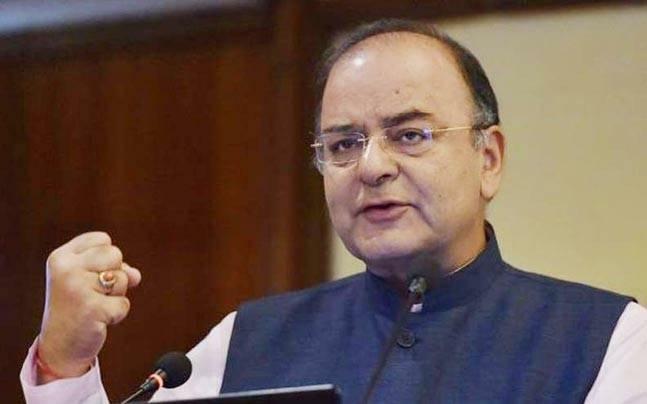 The finance minister further said with the implementation of the goods and services tax (GST), it is now becoming increasingly difficult to evade the tax system and the indirect tax to gross domestic product (GDP) ratio has gone up to 5.4 per cent post-GST, from 4.4 per cent in 2014-15. Terming the criticism, that almost the entire cash money got deposited in the banks post demonetisation, as "ill-informed", Jaitley said confiscation of currency was not an objective of demonetisation. The Narendra Modi-led government on November 8, 2016, demonetised high-value currency notes of old 500 and 1000 rupee notes, constituting 86 per cent of the currency in circulation, to check black money in the system. Of the Rs 15.41 lakh crore worth Rs 500 and Rs 1,000 notes in circulation on November 8, 2016, 99.3 per cent or notes worth Rs 15.31 lakh crore have returned to the banking system. "Getting it into the formal economy and making the holders pay tax was the broader objective. The system required to be shaken in order to make India move from cash to digital transactions. This would obviously have an impact on higher tax revenue and a higher tax base," Jaitley said.